CASCADEMIC’s Asset Tracking System is the perfect tracking and monitoring aid for all kinds of assets, both human and machine. It helps companies and users track assets and resources efficiently in real-time. The data collected can be used to make informed decisions helping to reduce wastage and achieve cost-savings. This System employs multiple nodes and connectivity mechanisms to transmit asset information to the server for monitoring. The compact, wearable solution utilizes both beacon-based tracking and GPS based tracking and can be employed both indoors – using BLE and Beacons – and outdoors through GPS connectivity. The beacon-based approach is used for tracking in areas with no GPS connectivity. LoRaWAN will be used for data transmission to Gateway/servers, it integrates GPS with LoRa for connecting to the Cloud. This low-power, cost-effective solution comes with a long battery life and makes asset management easy. Industries routinely spend millions of dollars in searching for and locating assets and personnel. The applications of CASCADEMIC's Asset Tracking System range from Asset tracking and control, workforce monitoring to visually impaired assistance systems, proximity ads and push notifications. 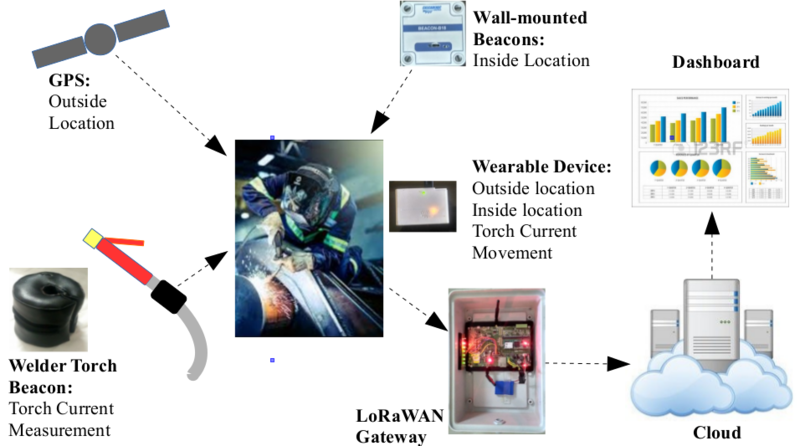 The above picture demonstrates how the system can be used for tracking energy consumption of welding machines and also to monitor manpower efficiency of welder activity. CASCADEMIC's system will be able to monitor the welding machine and the presence of welders within the vicinity of the Welding machine. The compact nodes can be attached to welding torch, welding machine and also wearable by employees. Hall-sensor based measurement for the welding machine and accelerometer based measurement of movement in the case of welding personnel and welding torch is used. Another typical need for such a tracker is in health-care industry for tracking critical personnel like nurses and patient files. 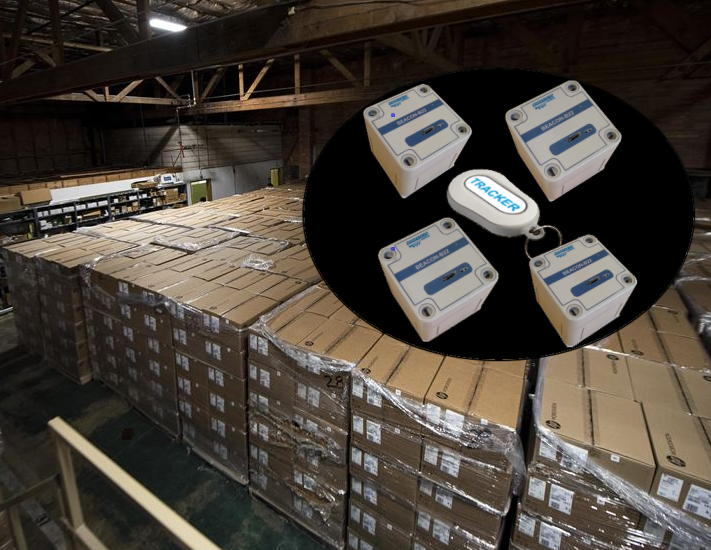 The Asset tracking System from CASCADEMIC is the best option not only in the above case, but it can literally be used in any situation where location positioning, communication and analytics are needed.